We are updating links to meet with Google’s AdSense Terms and Conditions, and since none of the following songs are listed on the legit music resources online, we will not be able to provide any links to the same for an indefinite period of time from henceforth. The following is a list of Gujarati movie songs by Mukesh, I have been able to compile recently. Some of these might be truly old ones, with Mukesh imitating KL Sehgal therein. A few of them must also have been popular in those days, since they sound like familiar tunes. Btw, how do you define Sugam Sangeet? Any suggestion? Previous PostAmitabh Bachchan To Speak About His Old DaysNext PostWho Was Big B’s ICU Mate During The 1982 Crisis? hav u got kishore kumar gujarati songs like hu amdavadano rikshavalo, garam masaledaar khaati meethi vaangi,Chalto rejhe etc…..
how can i get songs njar na jaam and pankhidane aa pinjure to download ?? You are doing a great service by placing these songs. It is one of the old favorites sung by him. Pls. 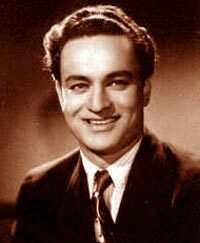 visit http://www.SingerMukesh.com site for more Mukeshji’s memories. THANKS NICE COLLECTION….HAVE SOME MORE PLEASE ! I like the voice of Mukesh. I need above 18 Gujarati Songs of Mukesh. I am finding the same last from 25 years. Heartly congratulations for having such a nice collection. Thanks for great Songs collection. Thank you for posting such nice collection of Mukesh’s Gujarati Songs. Mukesh was the only Non-Gujarati singer (and perhaps Asha Bhosale) who sang maximum number of Gujarati songs and most of them were written and composed by Avinash Vyas. Mukesh must have sung arround 900 odd songs and majority of them were and are (till today) liked by the people. He was just great singer and also a great person! Thanks for such a wonderful collection of Gujarati Songs of Mukeshji. i love to listen gujarati song very much. i want to listen song- tara roopni poonamno pagal hu aklo. Was looking for this songs. Many thanks from a senior citizen. Welcome Mr Desai. You should fill the Captcha text on top right of the page after having pressed the download button – this in case you didn’t wish listening to the streaming player. It will take you to another page showing various plans of the hosting site badongo.com. Press another download button, which shall appear beneath the table after a brief countdown. That should suffice. I just downloaded one track from there and it worked. i want to download the song ” gagan to mast chhe ” rom the gujarati film ” Ghar ni Shobha “. Can u help me….?? u r doing the greatest jovb ever. save as but to no avail. it only save the link. Thank you for the golden voice and melody of mukesh. I have been looking for “Sajan Mari Pritadi” song from the movie Jigar ane Ami, for 3 years. If you have it, please please share it. Hi, I’ve got most of the Mukesh’s Gujarati Songs including the above songs asked by other people like ‘Sajan mari pritdi’ and ‘Mane yadad fari fari aave’ plus more. I am great Mukesh fan with whom I had good chance to meet and talk. Out of his 941 songs, I’ve got 850 songs and looking for few to complete my data base. i am trying to find the song of mukeshji: Sajan mari pretdi chhe sadiyo purani from JIGAR ANE AMI. but there are not provider of share this song ever. kindly find this songs for mukesh fans. I am finding the same last from 10 years. How can I download all gujarati songs sung by Mukesh? I m not Eligible to appreciate to u.